Read all about the Lazzaroni family history on the Lazzaroni spirits page. 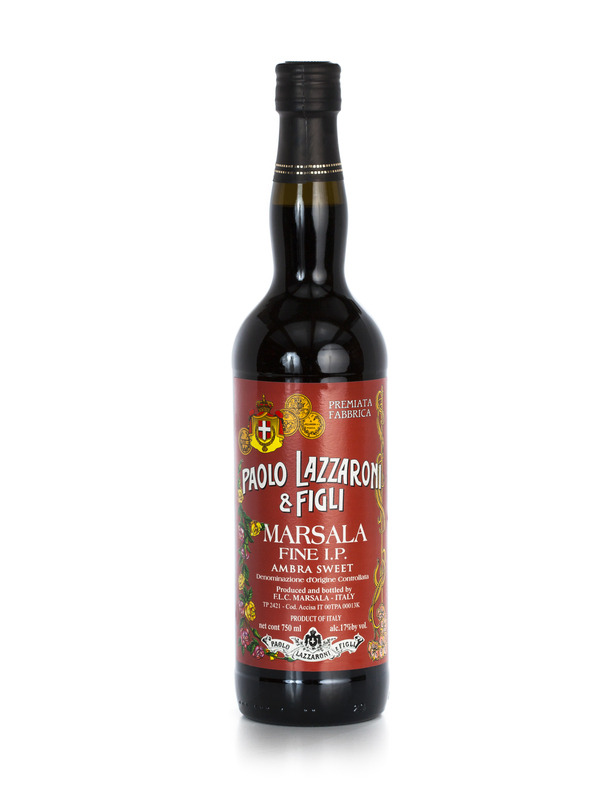 Marsala wine is a fortified wine produced in the region surrounding the Italian city of Marsala in Sicily. Marsala wine first received Denominazione di Origine Controllata (DOC) status in 1969. The ruby-colored Marsala wine hail from any combination of three local red grape varietals – Grillo, Inzolia and Catarrato. The fermentation of Marsala is halted by the addition of grape brandy when the residual sugar content reaches the pre-determined levels according to the sweet/dry style the producer is shooting for. Lazzaroni Marsala Dry and Sweet wines have been aged about one year with 17% Alc. by Vol. While it is produced to be consumed before or after dinner, Marsala wine is frequently used in cooking and is especially prevalent in many Italian restaurants. One of the most popular Marsala recipes is Chicken Marsala. It is also used in the preparation of some risotto dishes as well as some Italian dessert recipes.